Prepping! 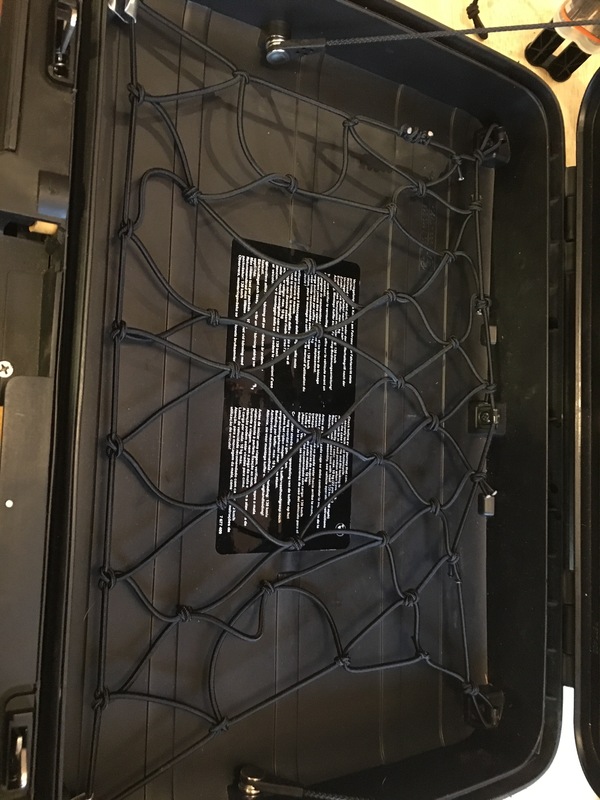 Decided to make my own custom sized cargo nets for my BMW Vario cases for the upcoming trip to Alaska. Next Next post: A few photos from the Progressive Moto show in Minneapolis.